There is not even an iota of doubt in the fact that Southeast Asia is attracting tourists from all over the world since ages. 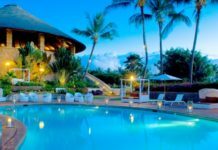 Earlier there were only a few countries that had a thriving tourism industry, but with changing times, new destinations are coming up that are giving the already established holiday places a tough challenge. And one such travel destination is Vietnam. According to the latest stats, Vietnam is attracting 10 million tourists every year. And why not? Vietnam is one of those countries that presents a glorious combination of cultural diversity and a wide variety of flora and fauna. Here you would find panoramic views ranging from jagged mountain peaks to hills painted in almost all shades of green that are the humble abode of the ethnic tribes of Vietnam. 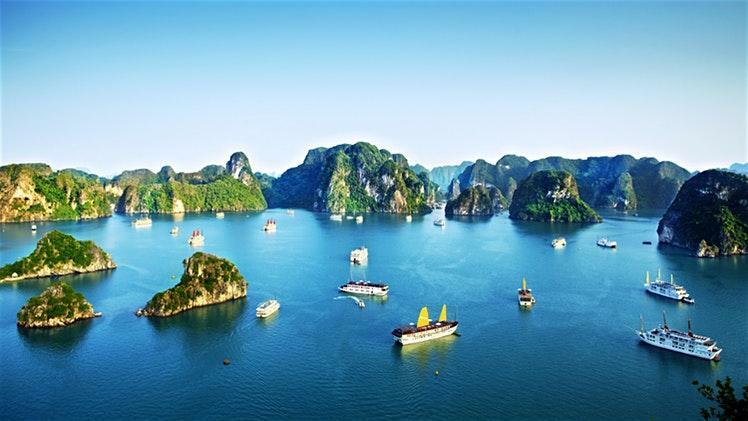 Whether you are a hitchhiker or a backpacker, you can get your fulfillment by camping at one of the many national parks and if you are a sucker for luxury travels, then cruise on the mighty Halong Bay while enjoying the many wonders of the nature. Apart from the countryside, there are several cities that are the living manifesto of the beautiful Vietnamese culture and lifestyle. Missing out these cities while you are vacationing in Vietnam is definitely a shame. Want to know more about these cities and places? Then, keep on reading! Baptized as one of the UNESCO’s World Heritage Site, Halong Bay offers one of the most scintillating views of the seas. This bay is situated in the Gulf of Tonkin where countless limestone krasts and islands, covered with green plantations present a spectacular scenery. Some of these islands and krasts are in the shape of jagged peaks, thank to the regular erosive action of water and wind. If you want to have the best experience of Halong Bay, it is better to cruise on its calm waters. The adjoining areas of the bay have ancient, mammoth caves such as Hang Dao Go, but for most of the visitors, Halong Bay is all about relaxing on the boat while soaking up the nature. Love the big cities? 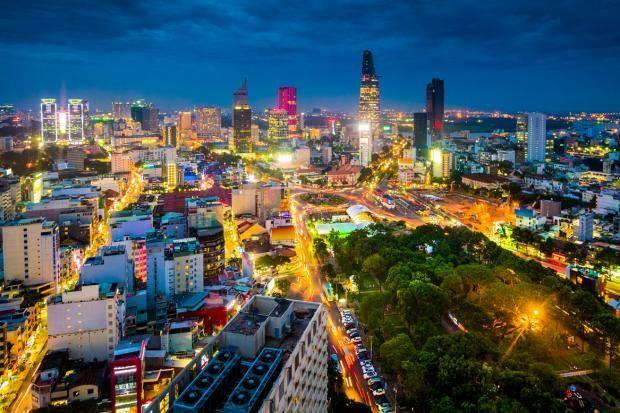 Then, Ho Chi Minh city is definitely your thing. This city is the main commercial hub of Vietnam that is always buzzing with excitement and fun. Get ready to be surprised as the streets of the city are insanely packed with cars and motorbikes that is simply an amazing scene. The streets of the city are lined with numerous restaurants and cafes and the shopping scene of this city is on an altogether different level. While you are in HO Chi Minh city, don’t forget to visit Da Kao for colonial French architecture, Jade Emperor Pagoda and The Reunification Palace. If you are a history buff, then Hue is definitely going to take your breath away. This town is scattered with the history of Vietnam, showcasing numerous relics that date back to the reign of the Nguyen emperors of the 19th century. 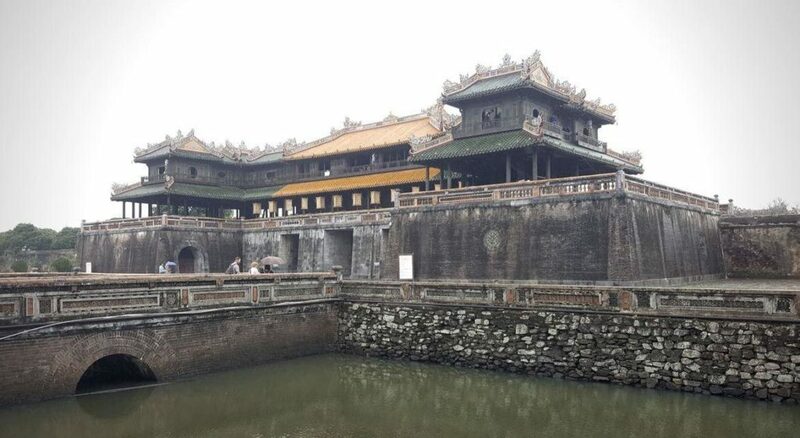 One of the must visit site in Hue is the Imperial Enclosure that is situated on the banks of the Perfume River. While visiting Imperial Enclosure, don’t forget to check out the Ngo Mon Gate, the Thai Hoa Palace, the Dien Tho Residence and The Halls of Mandarins. If you have ample time in your hands, take one day cruise on the Perfume River. 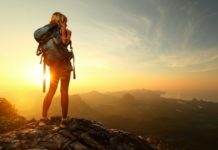 Are you an adventure seeker? Then, the finest caving destination of the world is waiting for you in Vietnam. Declared as a World Heritage Site by UNESCO, Phong Nha-Ke Bang National Park is a mesmerizing mountain formation made of limestone krasts and massive caverns. This whole area presents a fascinating scene of different shaped and jagged stalagmite and stalactite formations. Among all, Paradise Cave is the one that shouldn’t be missed at all. And if you want to swim inside the caves, then go to the Tu Lan Cave that has its own cave system river. Want to know the ancient history of Vietnam? Then, you should definitely include Mỹ Sơn in your travel itinerary. This is a ruined temple city dating back to the Cham era of the 4th century. This area was a thriving area of ancient Hindu religion around the 7th to 10th century and saw a downfall after the 13th century. 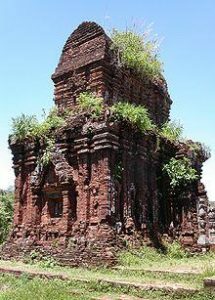 Currently, there are 20 temple structures that are a beautiful witness to the rich cultural heritage of Vietnam. Mỹ Sơn is easily accessible from Mỹ Sơn. 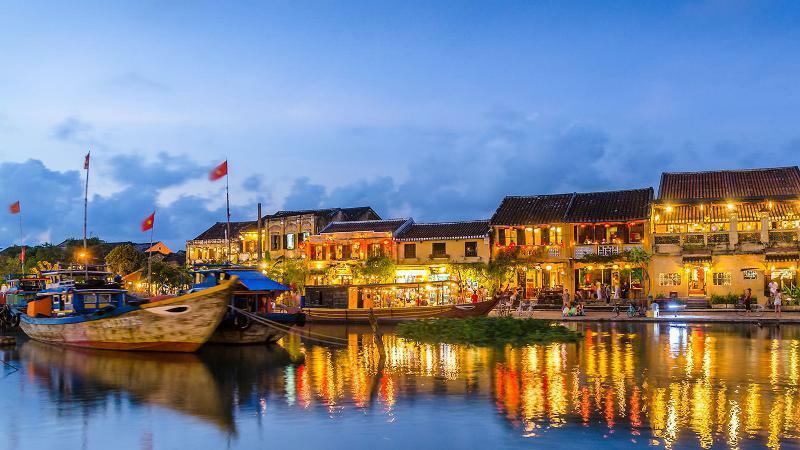 Hội An is a mesmerizing city of Vietnam that displays the cohabitance of history and nature. Back in the 15th century, Hội An was a thriving town where Chinese and Japanese traders used to meet who were here for the high quality local silk. This lead to the opening of several merchant houses and you can still get the feel of the old times. While you are in Hội An, include Tan Ky House, Japanese Bridge, which is on the west end of Tran Phu Street, the Assembly Hall of Fujian Chinese Congregation as a must visit in your travel list. The countryside of Sapa is not less than a fairy land with the peaks of the Hoang Lien Mountains surrounding the lush paddy fields of the Sapa valley. Sapa is the abode to several picturesque sites that break the heart with their sheer beauty. 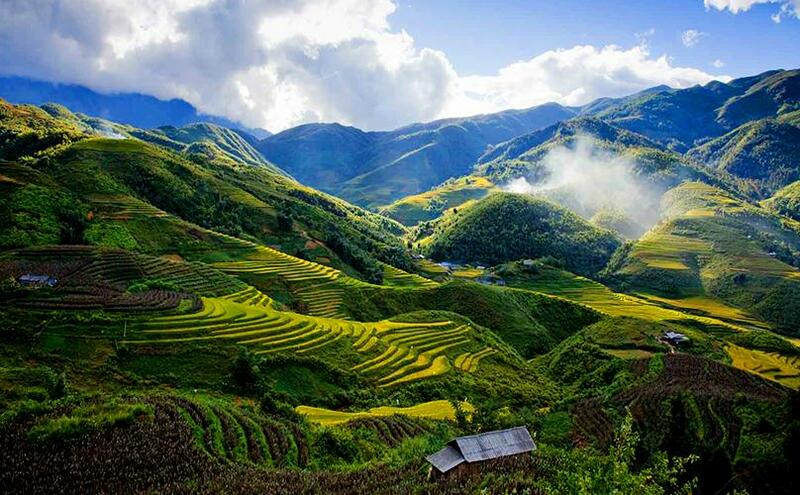 The valleys of Sapa countryside are the home of numerous ethnic hill tribes such as Hmong, Red Dzao and Giay. It is also the home of the tallest mountain peak of Vietnam, Fansipan Mountain. 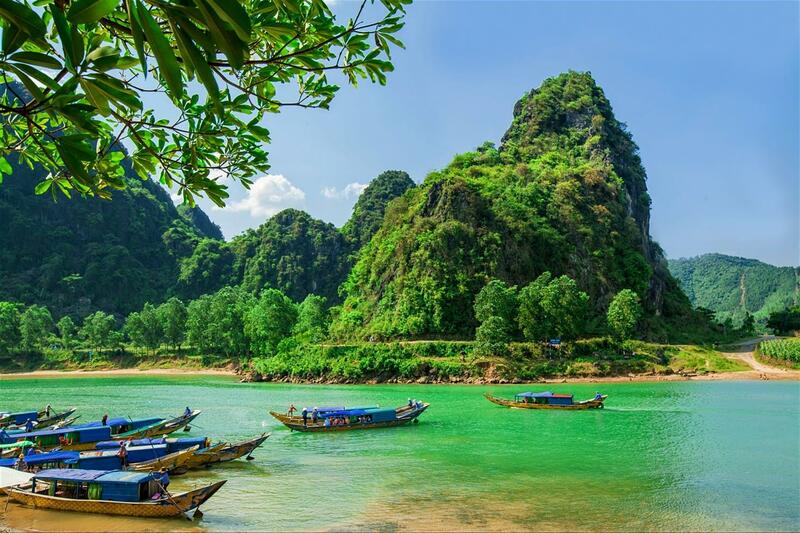 Other than these, other places that can easily join this list are Hanoi, Nha Trang, Cu Chi Tunnels, Ba Be National Park, Mekong Delta and many other places and quaint little towns that are still hidden from the prying eyes of tourists. Vietnam has so much to offer that one single visit isn’t sufficient. So what are you waiting for? Make Vietnam your next travel destination.